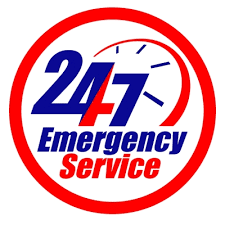 Lisbon Maine: Lisbon Emergenciy INC.
On the Town Council agenda for Tuesday night is the Lisbon Emergency – Level Service/Funding. The Town Council appointed Councilors Norm Albert and Mark Lunt to form a sub-committee to evaluate ALL options pertaining to Lisbon Emergency, Inc.
Other options presented was has Lisbon Fire Department take over this responsibility and not doing anything. However, the sub-committee had another suggestion to review and ignored it completely. The option was to ask the two hospital’s (St Mary and CMMC), who own United Ambulance, for assistance. The option was for the TOWN to DIRECTLY communicate with the hospitals and this was ignored. I do not understand how the Town Council can consider this agenda item without first having ALL options evaluated before a vote. I also do not understand why this situation has NOT been brought to the attention of the people of Lisbon. A situation this serious should have the input of all citizens and NOT just at a Public Hearing. The Public Hearing will be the first time the people have been notified. There are no videos of the sub-committee meetings so the people have no clue what is going on. This is typical for the Town of Lisbon; asking the people to speak on issues without knowing all the fact first. This is the method used to reduce town involvement by the people and to ensure the town gets the results they want. At no time has anyone mentioned how they plan to pay to supplement Lisbon Emergency, Inc.